The trampoline has always been the gift that keeps on giving. 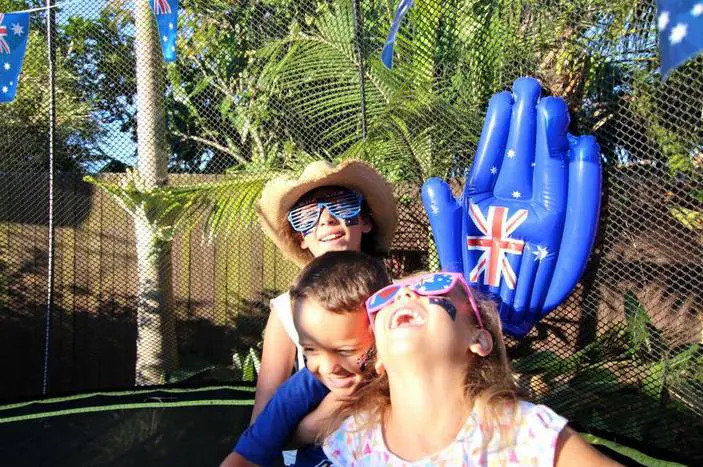 According to Kelly Burstow from leading Australian blog “Be A Fun Mum“, if she could only pick one piece of play equipment for her kids, it would be the trampoline. 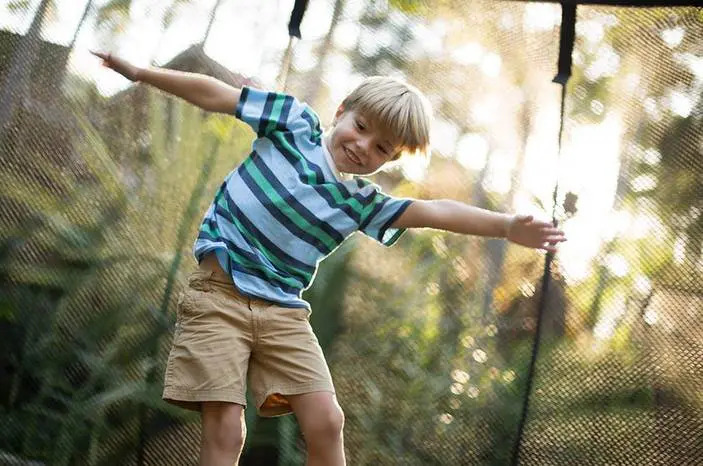 As trampolines evolve and become safer and bouncier, there is no doubt that the trampoline will remain one of those rare toys that continues to thrive and rival screens where other equipment has long since retired into the past. So can owning a trampoline really be life-changing? We all know kids love jumping up and down on a trampoline, but is there really any more to it than that? Well, you’d be surprised to learn just how much more there is to it! Our research into the topic showed an astonishing number of amazing benefits to owning a trampoline that really could change the lives of your kids and your whole family! So, why are trampolines loved so much? It’s an interesting question, because there isn’t much to a trampoline. It’s simply a vertical bounce up and down with a few tricks thrown in for good measure (if you have the skills). Yet, it’s the simplicity of the trampoline that is the key to its success. Almost anyone can do it. There are no strict rules or time restrictions; you just jump on and the fun begins! Trampolining takes a certain amount of concentration since it requires many different mental and movement processes. This can help kids (and adults alike) to reduce their levels of stress by focusing their minds on something different. It’s also a great way to have fun, and stimulates the body to naturally release endorphins, which in turn helps kids to feel happier and more at ease. This is a great method for everything from unwinding after school to reducing everyday stress levels in the home. Check out this article on rebounding for stress relief from Stress-Free Tomorrow. One of the best things about owning a trampoline is that your kids can play at home. If you just want a fun play, you don’t have to head out to the park, go to a play centre, or do a paid activity. It’s not only convenient but it also means that, when you have older kids, you can be getting on with things around the house while they are occupied. It is also the ultimate alternative to spending weekends, afternoons and holidays in front of the TV or other screens for many kids. There are tons of games you can create that involve the trampoline – like adding some balloons or a sprinkler – on those days when the kids need more than a simple bounce. Government research out of the United Kingdom is showing that kids are spending less time outdoors than prisoners, which equates to less than an hour a day! A trampoline is an effective tool for parents to get kids outside and into the sunshine where they belong. 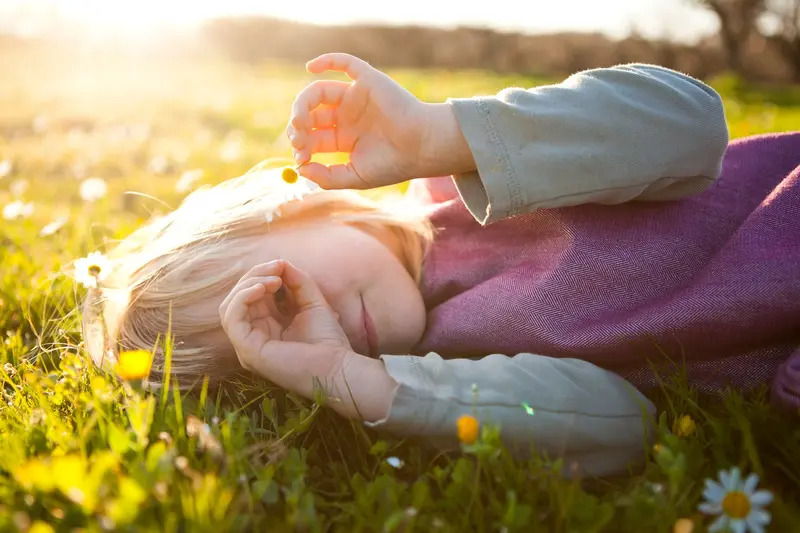 What’s more, getting exposure to sunlight while playing outdoors raises kids’ levels of Vitamin D, which helps protect children from future bone problems. According to the Vitamin D Council, it also helps to improve the immune system, muscle function, cardiovascular function, the respiratory system and brain development, and even has anti-cancer benefits! Trampolining helps people with autism, sensory issues and special needs to tackle anxiety and relieve stress. The rhythmic action of tampolining can be very soothing. It can also give kids something positive that they can do to help them calm down after a stressful incident. Trampolining is also a great way to meet kids’ sensory stimulation requirements, giving them lots of movement to stimulate their senses, or a focused activity to do when they may feel over-stimulated elsewhere. Trampolines are particularly useful to children with Hypersensitivity to movement (under responsive) in relation to their vestibular system. (You can read more about that here.) As such, trampolines are quite commonly used in therapy for kids on the spectrum or with Sensory Processing Disorder. For children with Autism or special needs, jumping on a trampoline can also have a positive effect on their behaviour and impulse control. Doing trampolining before school or before homework can also help to improve their concentration and focus (don’t take our word for it, give it a go!). Times have definitely changed and, when used correctly, today’s trampolines are safe and ideal for even the most wary child. When choosing a trampoline, it’s important to pick one that meets all safety standards. Springfree Trampolines have achieved their “world’s safest trampoline” reputation by featuring no springs, holes or hard frames. They’ve completely eliminated the springs, and moved the frame so that it’s impossible for a child to fall against it. 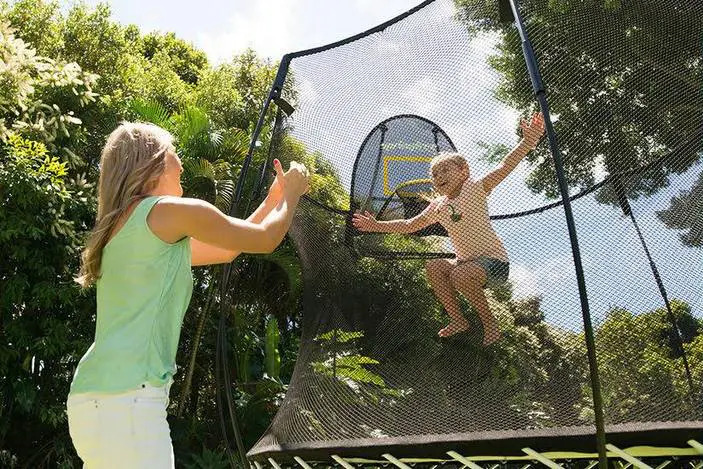 Springfree Trampolines have also put a net around the equipment, so you can’t fall off, and have used a shock-absorbent soft-edge mat to prevent injury. No one can get their hair or skin trapped in between springs, bang their head or limbs on hard frames, or fall off or out of a Springfree Trampoline if using it correctly. There aren’t many activities kids can do where their play environment is this safe, which is great for them and great for parent’s peace of mind too! 5. Trampolining improves kids’ health! Bouncing or rebounding is great fun, and it’s also great exercise. In fact, ten minutes of jumping has been found to be about the same amount of exercise as thirty minutes of running! So it’s not only a great way to get fit and healthy, but it’s also a very efficient means of increasing fitness. The most important study into rebounding was conducted through NASA, and found that, in many ways, rebound exercise was better and more efficient than running. A summary of this study and its findings can be found on rebound-aerobics.com. Keeping fit and healthy through trampolining is additionally a fun way for kids to maintain a healthy weight and helps prevent issues such as childhood obesity. 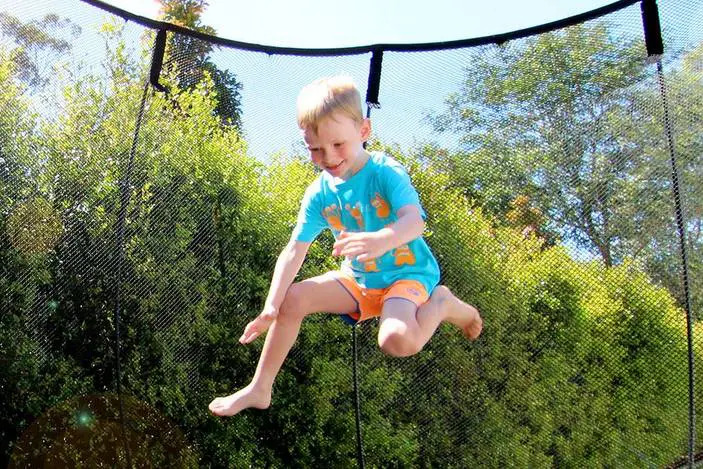 When bouncing on a trampoline, jumpers have to control their different limbs and muscles at the same time, which can help to improve their overall co-ordination. Rebounding also involves using both sides of the body at the same time, which can improve kids’ bilateral motor skills, which in turn leads to improved co-ordination, better muscle control, better dexterity and improved kinaesthetic awareness. In a study into the ‘Effects of trampoline exercise intervention on motor performance and balance ability of children with intellectual disabilities’ (which you can find on researchgate.net here), it was found that the children in a twelve-week trampoline intervention program showed improvements in balance and motor skills, as well as other positive benefits regarding enjoyment and motivation to exercise. As well as strengthening the muscles around kids’ joints, trampolining also helps to strengthen the muscles around their spine. It also increases their core strength. Combined, both of these benefits are key to improving their posture. Increasing Vitamin D by playing outside helps with healthy bone growth. In addition, the act of bouncing on a trampoline helps to strengthen the musculoskeletal system and increases bone density, giving kids stronger bones. This also helps to prevent serious health issues such as osteoporosis. According to this source, ‘The NASA study also showed that this was the best exercise to rebuild the lost bone tissue of astronauts whose continued weightless state caused them to lose up to 15% bone mass in only 2 weeks in space. This same exercise can be used by anyone (especially women) to prevent osteoporosis and actually reverse the damage.’. 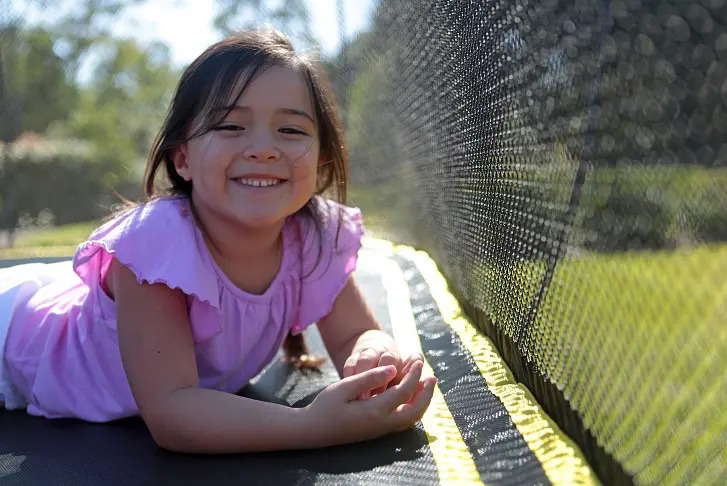 Since bouncing on a trampoline is a low impact exercise, it also means that kids’ developing bones and joints are being cushioned and protected while being strengthened, unlike in other high impact activities. Regular rebounding helps to strengthen the tendons, ligaments and muscles that support and surround our joints, which can help to ease the pressure placed on joints in other activities. The below video shows trampoline exercises that can lubricate and strengthen the joints, especially in the hips, knees and ankles. 6. Trampolining can help kids sleep better! By exercising the body, getting out in the fresh air, and reducing stress and anxiety, trampolining can also tackle many sleep issues and help children to sleep better for longer. Also, according to a study at the University of Konstanz, Germany (detailed here), using new motor skills in trampolining can increase the sleep cycle period and increase the duration of REM and slow-wave sleep. Trampolining can even help kids to do well at school (and adults to do well at work!). Trampolining has been shown to have an influence on academic success. It improves core strength and posture, which is vital for kids being able to sit for periods of time in the classroom without their concentration being affected by difficulties with body control. Motor skills are also important for many classroom activities. Plus, the circulation of blood and oxygen to the brain through bouncing on a trampoline is great for making the mind more alert and focused, and for increasing concentration and memory. The sections on Education Benefits in the below video by My Weight World explains this and other ways in which jumping on a trampoline can help kids to do well at school. 8. Once you own one you have free fun for a lifetime! What’s more, once you’ve paid the initial outlay for a trampoline, there’s nothing left to pay. You can get all of these mental and physical benefits without needing to pay for gym membership, activity centres or sports classes, not to mention the money saved in medications, physical therapy, occupational therapy, counselling and more. You have a fun, convenient activity at your own home, with so many benefits and no additional cost! 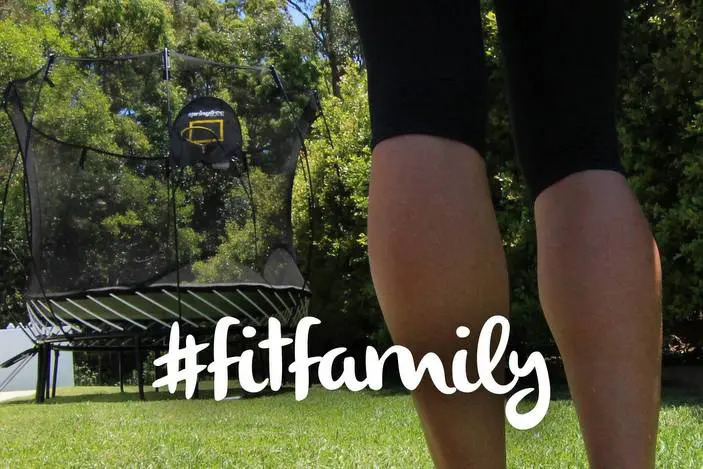 Check out springfreetrampoline.com.au to see just what incredible trampoline you can get for your money, plus there’s an awesome interest-free, no deposit offer available too! Warning: All safety precautions must be followed to ensure that trampolining is safe and fun for everyone. Only use a trampoline that meets all safety standards and supervise children at all times, Springfree Trampolines are the safest trampolines in the world. Younger children do require trampolines that are suitable for their size and weight. You may also wish to seek approval from a health care professional. This post has been sponsored by Springfree Trampoline, makers of the world’s safest trampoline. 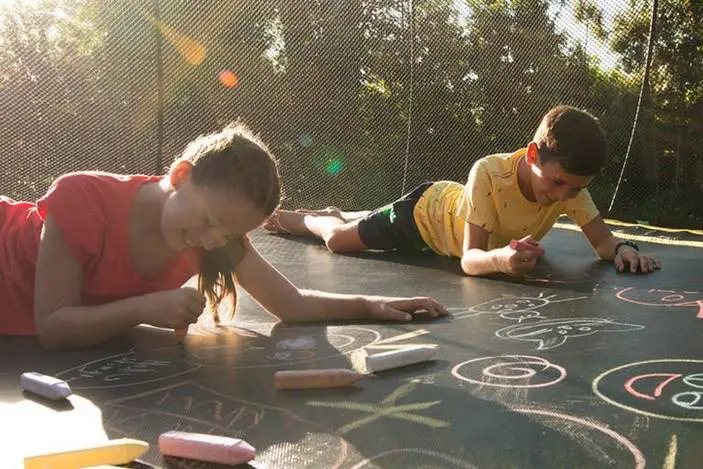 With trampolines that come in an array of sizes and a revolutionary design the reduces product related injuries by 90%, Springfree are an ideal gift that gets the kids active, outside and experiencing joy … and offers parents peace of mind. ¹ Sarah L Smith, Jane Melton, Maria Olyneolo and Kathrin Buchwald (2009). Introducing trampoline use within an acute mental health care hospital setting. Journal of Psychiatric Intensive Care, 5, pp 113-121. doi:10.1017/S1742646408001398.